이 4성급 호텔은 엘 골프(El Golf) 지하철역과 토발라바(Tobalaba) 지하철역 사이의 조용한 지역에 있습니다. 모든 객실에는 킹침대, 케이블 TV, 안전 금고, 무료 Wi-Fi가 제공됩니다. Hotel Director El Golf는 조식 뷔페를 제공합니다. 주차장과 피트니스 짐은 무료로 이용 가능합니다. 리셉션 옆에 마련된 24시간 비즈니스 센터에는 인터넷 접속이 가능한 컴퓨터가 구비되어 있습니다. 호텔 인근에 즐비한 상점과 레스토랑을 이용해보십시오. 숙소에서 도보로 5분 거리에 있는 코스타네라 센터(Costanera Center) 쇼핑몰에는 레스토랑, 푸드 코트, 소매점, 부티크 상점, 영화관, 금융 서비스점 등이 있습니다. 호텔에서 산티아고 국제공항까지는 차로 약 30분이 소요되며, 숙소에서 셔틀 서비스를 예약해드립니다. Based on local tax laws, all Chilean citizens and resident foreigners must pay an additional fee (IVA) of 19%. Foreign tourists: to be exempt from this 19% additional fee (IVA) the payment must be made in US dollars and a copy of the immigration card and passport must be presented. The passenger won’t be exempt from this fee when paying in local currency. In case of no show the invoice will be billed in local currency, including this additional fee (IVA). * This additional fee (IVA) is not included in the hotel rates and must be paid separately. Large rooms. Great city location. This hotel was recommended by a business colleague who was travelling with me. It occupies a fairly small footprint and is surrounded by other high rise buildings - no views! No smoking policy is encouraged and smokers are requested to use a small outdoor patio area just off reception. The location is quiet; suites are either single room or with separate bedroom and lounge - all fully equipped. The restaurant offers an adequate table d'hote menu each evening, but if you require something more substantial there are numerous good restaurants nearby. A great find for a business trip. It's great for business since it is located in business district. It is also great for people that are going skiing since it is on NW part of town and ski resorts are NW from Santiago so it is relatively fast to leave the city when off to mountains. The office staff were extremely helpful and kind to English speaking people. THey offered us good deals on taxis,tours and helpful hints on where to find good food in and around the area.The room was very comfortable and with 3 adults we were not inconvenienced at all. THe breakfast was very good as well. We enjoyed our stay at the Director Hotel. We found the staff very friendly, helpful and when we had a late flight out of Santiago it was not a problem to extend our time until 4.30p.m. with no extra charge. Our rooms were cleaned every day and with 3 adults in the room it was no mean feat. We had to put the rubbish in a bin and make sure it was clean before they would take it out. We felt very safe in the area and could walk around both at night and in the day. THe restaurant staff were very helpful and with our limited amount of Spanish we could communicate very well. I would recommend this hotel to anyone. Nothing significant comes to mind. The breakfast was basic--fruit/cereal/bread/meat/cheeze--no hot food. This hotel is an "all suite" hotel and is located in a very nice area. 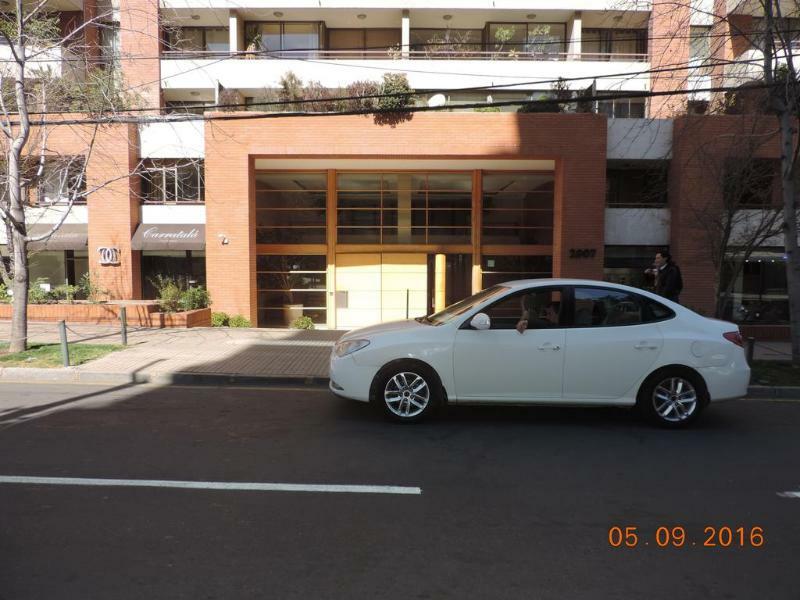 Easy walking, close to subway, business and tourist area (restaurants, shopping,etc). Desk staff (one particular young lady) spoke excellent English and provided help in locating attractions and assisted in booking tours. Highly recommended. big rooms, free internet and a good brakfast. the staff is very halping. For the price we paid it was a very good bargin. If you want a nice hotel in a very good location, this is the place to go. the staff is very corperative and halps in every possible way. the underground is near by and makes outing very easy. we would certenly recomend this hotel. In a business part of town, so the many fast food places close around 6 pm. The staff is great. I was pickpocketed and they arranged a collect call to the US to cancel my credit card. Two computers with free fast internet connection 24 hours a day. Large room with a small kitchen (but no dishes, pans or utensils) couch and tables. There are a few grocery stores in the area if you want to stock the fridge. There are plenty of restaurants in the area, but the fast food ones are closed in the evening if you just wanted a quick burger or something. In a good and very safe neighborhood with mostly steel and glass high rises, but just a short walk to the subway ($0.80 US per trip) to get to the historical areas. The Hop On-Hop Off buss stops not far away, but the stop is unmarked. You'll have to buy your ticket and board elsewhere, but can get off near the hotel when you're done. Wonderfully helpful staff (who speak English), nice touches such as room service checking you have enough towels etc, after you have checked in. Located in residential area but near restaurants and two metro stations. Free internet access. Tried to think of something but can´t. The Director El Golf was one of the most welcoming hotels I have stayed in. Staff were wonderfully attentive. Porters, reception staff, housekeeping, restaurant staff: all were polite, helpful, made a point of acknowledging you. 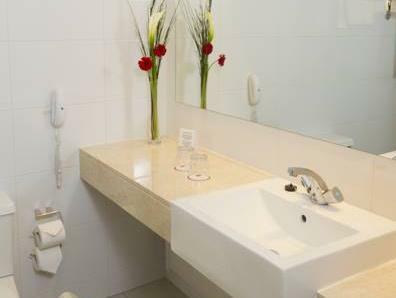 The hotel is located in an immaculately kept mainly residential area which gave it a very safe feeling at night. In reasonable walking distance of several restaurants (although in-house restaurant was very good). Located out of town centre but two nearby metro stations provided evry quick and simple city centre access. 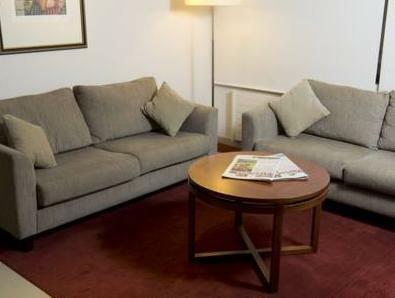 If I had to be extremely critical, some of the decor and furnishings showed a little wear but no more than I have seen in any other hotel of this star rating. The Director El Golf is a good hotel for a short stay. The location is nice within a quiet neighborhood but close to several metro stops. Has a nice large grocery store nearby. The room is large with a small kitchenette, however there are no utensils or dishes. The breakfast has a nice selection with fruit and cereals. The rooms are clean, just in need of some updating. Free internet was not in room only in lobby, limited to two computers and not for wifi. Hotel is in a good area, plenty of bars and restaurants to choice from. Subway is nearby and on the main line for the city centre. Room was large with a kitchenette (without crockery/kettle mind) and everything else you need for a comfortable stay. Good location in business district, 5 min walk to Metro. Hotel surrounded by excellent restaurants. No charge to park car in secure parking lot. Huge bed is actually the size of 2 double beds together. Carpet has not been shampooed in years - actually had to wear slippers in room to keep my feet clean. Pervasive room deoderizer. Charge for WiFi service. Air conditioner very noisy. Hotel is dated but very well maintained, with the exception of the stained and dirty carpets. Helpful & attentive bilingual staff, made winery reservations for us, and called ahead to restaurants to reserve our tables. Business center has 2 computers with free access. The hotel does not offer non-smoking rooms, but we were assured that there would be no problem accommodating our non-smoking preferences - this means that the air in the room is heavily deoderized with a perfumy spray. We found that turning on the bathroom vent and opening the windows helped dissipate this strong smell. Strongly suggest you bring travel slippers. The room was very nice. Had a swimming pool. Free Internet. Great support and assistance from reception staff. Service in the restaurant. No kettle for cups of tea or coffee, also no Milo!!! Had to go through reception to get to the swimming pool. 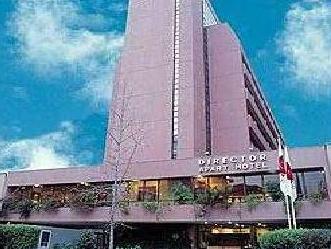 The Director El Golf Hotel was situated in a quiet street in Santiago. The staff were pleasant and very helpful and could speak English well. Spacious rooms and well heated. Bathroom well equipped with plenty of hot water and a hairdryer. The staff were very knowledgeable about local places to go shopping or tours around Santiago and how to get there. Hotel ne valant pas le nombre d'étoiles citées mais grande chambre, petit déjeuner simple mais pas mauvais. La cuisine n'est pas équipée et est peu fonctionnelle, le frigo était fermé à notre arrivée. Par contre le lit est bien ! Quartier calme proche du métro principal menant aux gares routières et au centre.